When you need to move automobiles, you often need to meet a deadline – while keeping costs down. We’ll help you do both. 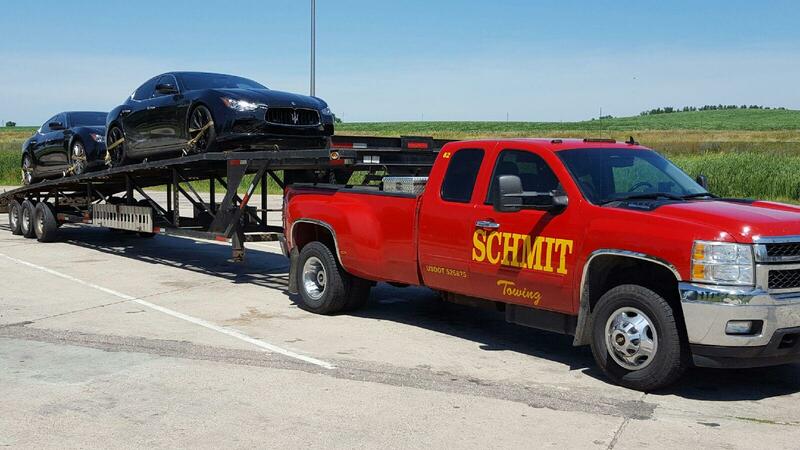 Schmit Towing has the skill and equipment you’re seeking. With well-trained drivers and powerful technology, we can help both commercial and residential clients. You have choices when you work with us. You can leave (or retrieve) your cars at our Fridley location, or we can arrive right at your door. Let us know how we can help. We’re dedicated to making it easier for you to transport your vehicles.